County Senior Section Co-ordinator, Kat tells us about her Queen's Guide exploration. 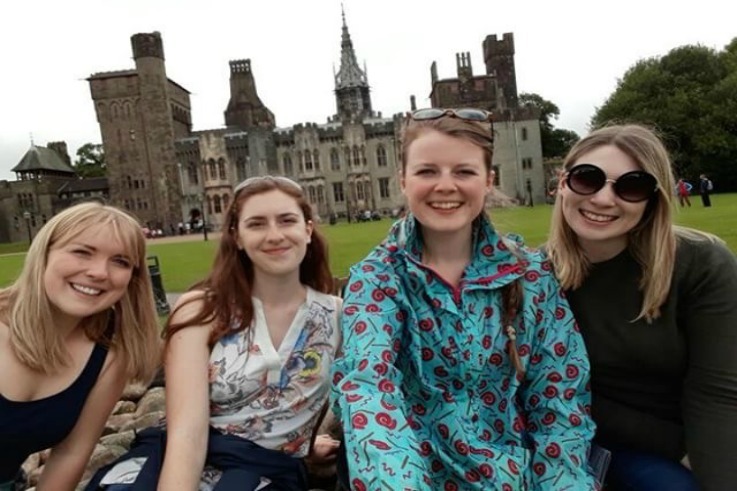 As part of her Queen’s Guide Award, Kat organised a trip to Cardiff with some of her guiding friends. Section 2 of the award asks candidates to take on an Outdoor Challenge, where they will take on new responsibilities and explore somewhere which is new to them. Kat chose to head to Cardiff to explore and the group took on an A-Z challenge whilst they were there, meaning they had things to do for each letter of the alphabet. Some of the items on their agenda included visiting Bute Park, eating Welsh cakes, enjoying some of the many museums which Cardiff has to offer, and playing crazy golf, as well as learning more about the history of a city which they hadn’t been to before. The Queen’s Guide Award is the highest award you can work towards within guiding, and is open to members aged between 16-25. To find out more about the award, please see this link for the syllabus on the national website. For anyone considering taking on the challenge, Kat’s advice is to go for it. She says: “It is an excellent opportunity to try new things, meet new people and push yourself to the limit to achieve things that you didn’t think you could do. I’ve loved doing it!”.